I am 34yrs old and received a double lung transplant in April 2013. I was born with Cystic Fibrosis and fortunately I had been quite well for most of my life. Despite never being very good at it I loved sports, joined the local basketball and jiu-jitsu club and one of my favourite classes in school was P.E. I graduated from school at 16, went the United States for a year in High School, completed a 3-year apprenticeship in Hotel Business Management followed by five years of backpacking around the world. I tried to keep up the necessary treatment but that’s sometimes easier said than done when for example in Khayelitsha, a black town ship near Cape Town, we didn’t even have running water – let alone electricity to run a nebuliser. But even with the (increasingly occurring) infections I was alright. I came home once a year for a couple of weeks of IV antibiotic and then I was off again. My parents sometimes wished I would stay for longer to recover properly but I was busy. I had a life to live. Having discovered a love for surfing I settled in Cornwall, registered with a GP and a CF clinic and – for the first time since I left my parents house at age 16 – did things “properly”. But after catching pneumonia in the slums of Peru, hypothermia when falling into a freezing cold river in the middle of winter to save my dog from drowning and not missing out on the old swine flu – at age 30 my lungs were deteriorating at an alarming rate. After a couple of assessments at Harefield and a lot of soul searching whether the transplant route was something I could do (I always preferred a dignified ending on my terms) I decided to try it – I wanted a bit more time with my boyfriend whom I had only met a couple of years previous and living in Cornwall I wanted to surf one more wave. Getting on the waiting list turned out to be a real challenge. Like a lot of CF adults I had developed diabetes and consequently lost a lot of weight. Constant infections had weakened my system and with a resting heart rate of 150 my body was burning all the calories I ate just by staying alive. I had surgery for a port and a PEG (feeding tube) and eventually was put on oxygen. All of which I hated. For me it was another step towards the end, a confirmation that CF was coming at me with all its force and it wasn’t going to be pretty. Soon I was pretty much house bound. I had mobile oxygen but I despite regular walking (with a stick at that point) I was getting weak. And fed up. Baths were out of the questions and showers a luxury. Getting out of my pyjamas…only if absolutely necessary. Thankfully with the support of incredible friends, family and my medical team both in Cornwall and Harefield I got through the dark days and after about a year I had (just about) reached the required BMI to make it on the list. My lung function was down to 11% so the average waiting time of 18 months seemed awfully long. But once again I was lucky. My first call came after only 14 days on the list but unfortunately the donor lungs didn’t pass the test. 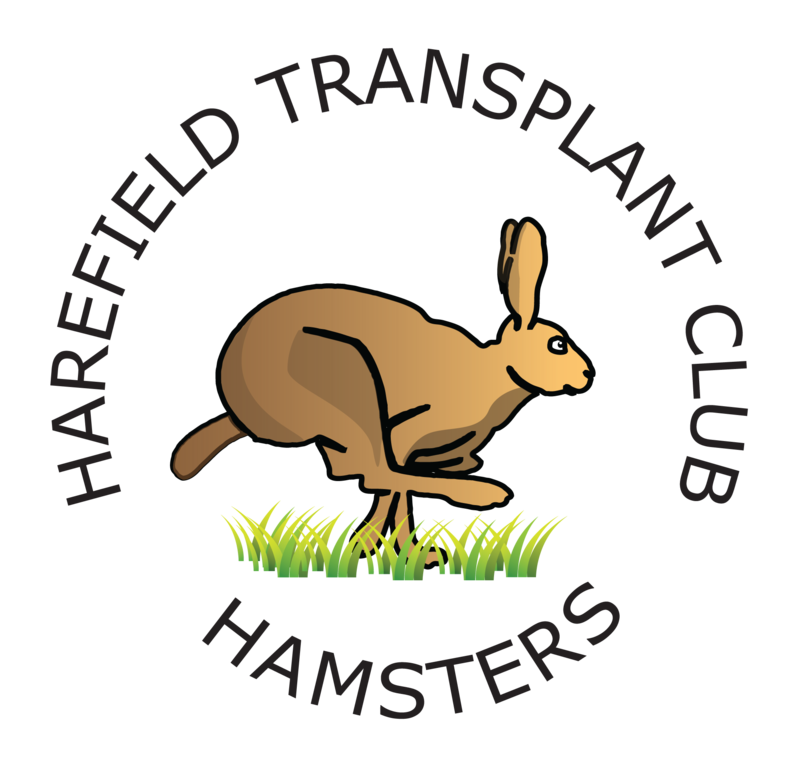 My second call came only a week later and I received a set of shiny new lungs and with that a new lease of life. Having my boyfriend and my mum there helped a lot because I wasn’t allowed to go outside for risk of infection. That drove me crazy especially as it was sunny and really warm. But after two weeks, on my 31st birthday, I was allowed out for the first time. I’ll never forget sitting under the blossoming cherry tree eating carrot cake and for the first time breathing fresh air with my new lungs. Since then I had a few blips – my heart went a bit funny with irregular rhythms that were way too fast but that was treated and it’s now fine. My first winter was a nightmare as I was in hospital constantly between November and March. I had caught Pneumonia after camping in the Scottish Highlands in November. The treatment was a bit strong so my kidneys weren’t happy and I had neutropenia. My diabetes went completely crazy and I’m only now managing it better. But I’m doing well. I have my quality of life back. 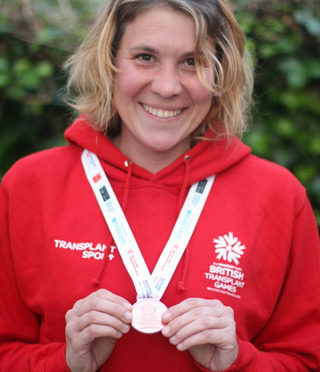 I am trying out new sports and compete at the Transplant Games – with varying levels of success but always with tons of fun! I’ve met amazing people and learned a few lessons along the way. I will be forever grateful to my donor and her family. And yes, I would do it all over again.